The container ship Rena astonished local mariners by grounding on the clearly marked Astrolabe Reef while approaching Tauranga Harbour. Flying the Liberian flag and under charter to the Mediterranean Shipping Company, the German-built Rena was the largest ship ever wrecked in New Zealand waters; although no lives were lost, in financial terms it was our costliest-ever shipwreck. Environment Minister Nick Smith described it as New Zealand’s ‘worst maritime environmental disaster’. About 350 tonnes of oil was spilt, and 950 tonnes of oily waste was subsequently collected from local beaches. 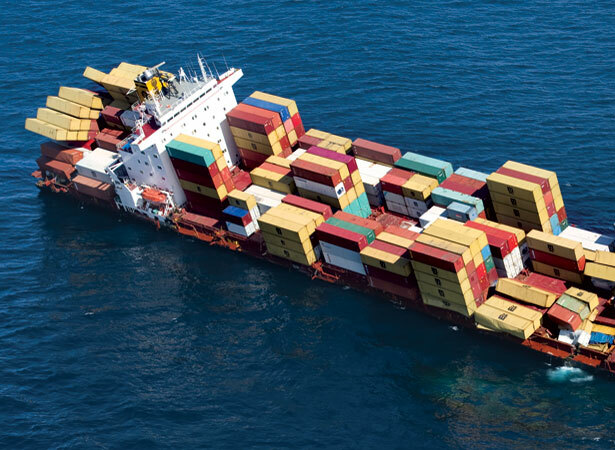 Eighty-seven of the 1368 containers on board were washed overboard, with the contents of many fouling the coast. Thousands of birds were killed. More damage was done when the Rena broke in half on 8 January 2012. The salvage operation was frequently hampered by adverse sea conditions and had cost $700 million by the time it ended in April 2016. Local iwi and others continued to battle the ship’s owners and insurers over responsibility for removing what remains of the wreck. We have 2 articles, related to Shipwrecked Rena spills oil into Bay of Plenty .